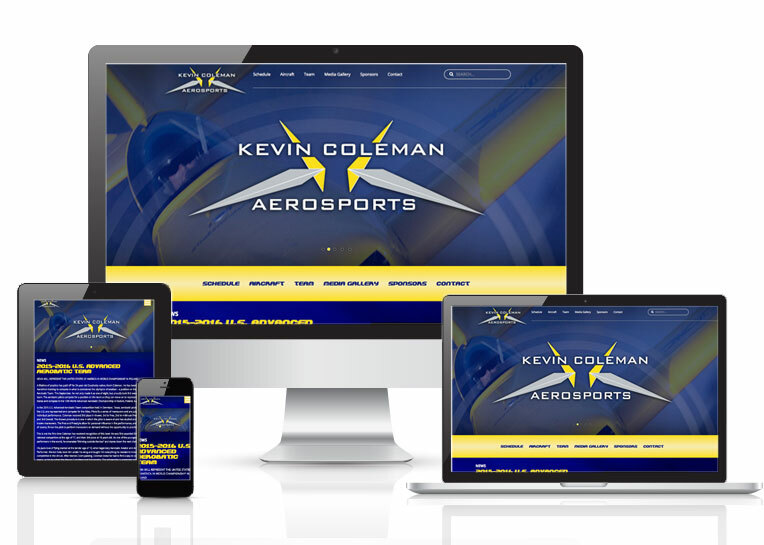 Online Presence Builders partnered with local Marketing Company KSM to develop a completely responsive and adaptive WordPress website for Kevin Coleman. Kevin Coleman, a graduate of Louisiana Tech University, received an Aviation Management degree and promptly launched a full-time career as one of the youngest Professional Air Show Performers in the world. He is now 24 years old living in Coushatta, Louisiana; and traveling the air show circuit across the country for his 6th full year. With a sleek, clean website design, people visiting his site can easily navigate to find Kevin Coleman’s upcoming events, view his photo gallery or videos.